Itu udah gila-gila banyak, tapi aku suka banget! The theme of this Conference was “Revisiting Bandung: Cultivating Asia’s Insights on Global International Relations and Political Science”. 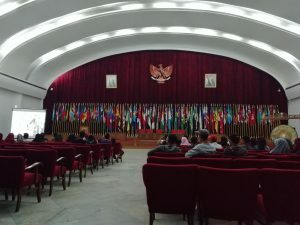 As the theme suggests, ICON-IR 2018 was held in Bandung, West Java, a city about three hours from Jakarta. Why Bandung? you might ask. To answer that, we have to go back to 1955. (It seems like we’re going back to the 50s a lot these days unfortunately, but bear with me). After the the Second World War, the world experienced a massive shift in the world order. The United States and the Soviet Union emerged as superpowers, each leading powerful blocs of nations under their influence. At the same time, European and Japanese Empires were being dismantled and dozens of previously colonized countries achieved their political independence. As quick as they saw their independence come, it was threatened by neo-colonial interests of the US and USSR, fighting over influence in these postcolonial states. 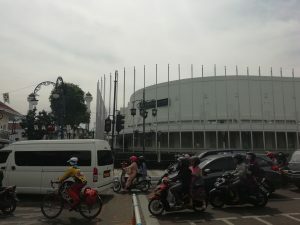 Gedung Merdeka, now the Museum Konperensi Asia-Afrika, where the Conference was held in 1955. 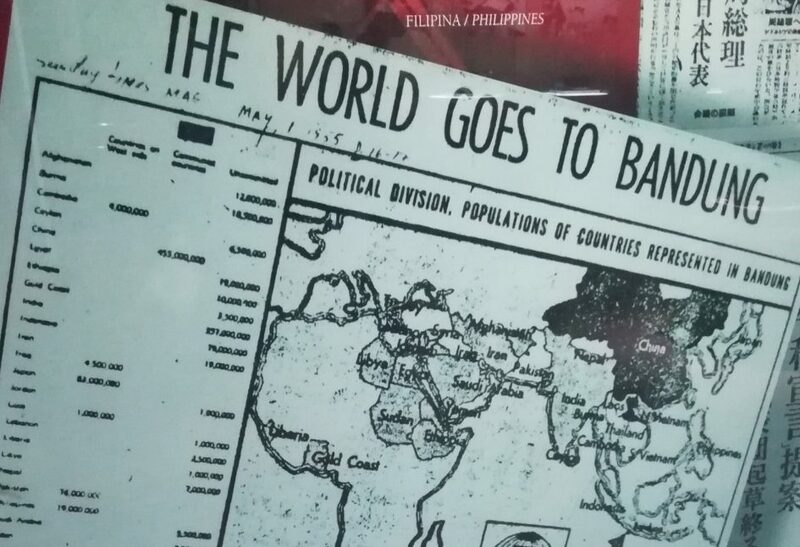 So, only five years after victory in their War of Independence, Indonesia welcomed leaders from 29 Asian and African states to Bandung, for the first Asia-Afrika Conference in 1955. There, they sought to foster cooperation between their nations, to protect their rights, to decrease dependence on Europe & North America, and fight against colonialism in all its forms. Though these countries were culturally, historically, and ethnically different, they all shared painful experiences of colonization. “It is a skillful and determined enemy, and it appears in many guises. It does not give up its loot easily. Wherever, whenever and however it appears, colonialism is an evil thing, and one which must be eradicated from the earth.” – Sukarno, Indonesia’s 1st President. 1955. 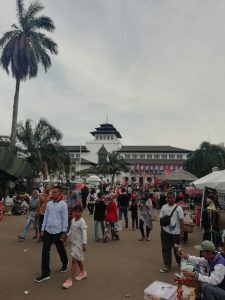 Together, these principles fostered the Spirit of Bandung; a commitment to promoting economic and cultural cooperation, advancing world peace, human rights, and the right to self-determination, and tackled the problems created by centuries of colonialism. It was a historic achievement for these postcolonial states, a rejection that neither the American-led capitalist West or Soviet-led communist East controlled their destinies. This conference paved the way for the Non-Aligned Movement, a group of nations that would refuse to align with one of the two super-powers, many from Asia and Africa. Although highly idealistic, and ignored by many world leaders to come, the Asia-Afrika Conference represents important ideals that people from around the world can strive for. The Spirit of Bandung has not been forgotten and remains an important guiding set of principles, still evoked at the United Nations today, although certainly not enough. There’s still a lot of work to be done to achieve these goals. Big Thanks to CAPI & CIPS for this amazing opportunity! The ICON-IR 2018 Conference that I went to was a great learning experience for myself. It sought to revisit the Asia-Afrika Conference of 1955, to reflect on its legacy, and to discuss Asian contributions to the field of International Relations. 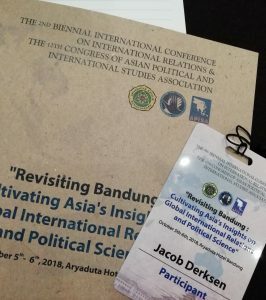 The keynotes highlighted that the field of International Relations, long dominated by the West, cannot fully and accurately explain politics in Asia. The Conference sought to work towards a stronger contribution to the field from Asian perspectives, and create a more globalized discipline.  These past three months have been amazing, I’ve developed a course for the Online Academy, and moved on to assist the Research Department, and now the External Relations Department at work. I had the chance to see the Opening Ceremonies to the 2018 Asian Games hosted in Jakarta, which was a spectacular show. I’ve adventured all over West Java, hoping islands, slugging through mangroves, zipping around on motorcycle-taxis, hiking mountains.. and eating everything, of course. There’s also been huge challenges, that’s a story for another day, but overall this has been an incredible opportunity and I’m looking forward to my remaining time in this fascinating part of the world. I’ll end with more more quote from Sukarno’s speech, “Let a New Africa, and a New Asia be Born”, with which he opened the Asia-Afrika Conference of 1955. It’s a quote that stuck with me, and one that I feel is as relevant as ever. (If you want to read his full speech, here it is).